Telemachus: Quick! Name The Largest Heist In American History…. Quick! Name The Largest Heist In American History…. 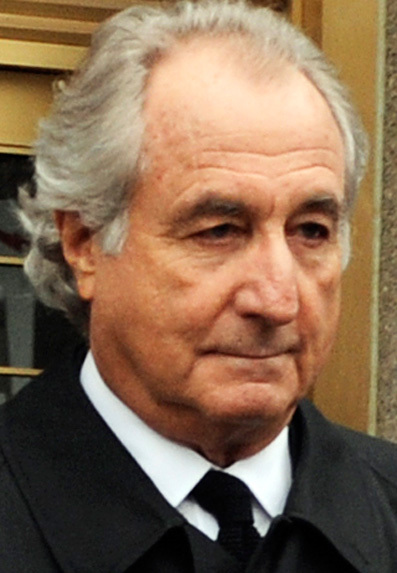 Was it possibly that scoundrel Bernie Madoff who made off with hundreds of billions of dollars of client funds and lost them all after he took his big fat cut out of it first, of course? Could it possibly have been the ability of Wall Street financiers to run their businesses into the ground by 2008 by irresponsible use of debt and leverage only to run to Washington to be bailed out, made whole and then resume making multiple millions in annual bonuses these last 2 years? None of them are even close to being the winner. Not even in the same ballgame, ballpark or major league. Nope, the Greatest Financial Heist of All-Time in the History of the American Republic was the ‘Save Social Security Act of 1983’. And nobody has told you about it. Have they? Since 1984, when the Federal Government increased YOUR payroll taxes supposedly to keep SS from ‘going broke’, (which it was in terms of collecting less than what was going out every day to senior citizens), Washington has collected approximately $3 TRILLION since then in surplus payroll taxes from your weekly paycheck. ‘Not one copper penny of it EVER went into your granny or grandpa’s monthly SS check! We know this sounds harsh and it might strike you as being completely unbelievable…and it is shocking when you are finally confronted with the truth. But the increase in SS payroll taxes since 1984 has wound up being nothing more than a clever confiscation of your hard-earned money that you have dutifully paid out in higher-than-necessary payroll taxes for the past 27 years. Isn’t that long enough? Isn’t that enough to make you want to stop? So-called ‘public policy experts’ (wonks) can cite you chapter and verse from the SS tax code about how this surplus money was used to set up the ‘Social Security Trust Fund’ (which is not a 'true' trust fund at all but just an accounting gimmick) and it has been ‘earning interest’ (‘imputed’ meaning ‘fictional and pulled out the air by some actuary in Washington each year’) and ‘it will be there to draw down when the Boomers start to retire (it won’t…and the Boomers are starting to retire in full force next year, 2012). The truth of the matter is that every budget expert knows that there has been between $100 billion to $200 billion of surplus funds collected from SS each and every year for the past 2 decades through the magic of picking your pocket from payroll taxes dutifully paid each pay period which has made revenues appear ‘higher’ and the deficit appear ‘smaller’ than they really are on a current cash basis. Think about it this way: Had the infamous 1983 SS Act not been passed, SS would NOT have gone ‘broke’ as they said. There would have been a much, much smaller payroll tax passed to cover then-promised SS benefits going out. And you, the collective American public, would have had close to $3 trillion more money in your collective pockets over the past 27 years to spend on whatever you wanted to spend it on. Instead? Washington frittered it away on whatever THEY wanted to spend it on. Namely more federal programs ranging from defense to environmental protection to education to the Lawrence Welk Museum (which we guess really is a unique American national treasure come to think about it). And how will this so-called ‘SS Trust Fund’ be ‘paid down’ when the Boomers retire? It will not be like drawing down an account at the bank or drawing an annuity from a fixed amount of endowed funds or whatever. Borrow more from the Chinese to pay for it and send our country further over the High Cliffs of Debt than we are today. So. There you have it. The Biggest Financial Heist in American History…and none of it went to help your grandma in her golden years. How does that make you feel right now? Is there a way to get a Twitter Revolution going on here in America so we can fix this thing, now? read more at 'Social Security: The Unfinished Work' or sign up to follow Chuck Blahous' great work showing us options to 'fix' Social Security on Facebook at, what else? 'Social Security: The Unfinished Work'!